We are Irina, Alex and our two sweet cavaliers. If you want to learn more about us and our plans, you can write us. 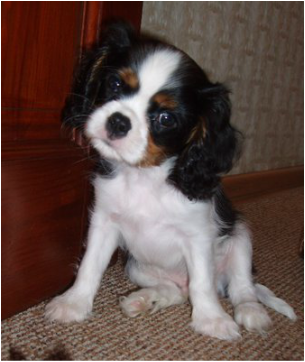 I love animals, especially dogs, since childhood and can not imagine my life without them. English Cocker Spaniel were my first dogs (Julie and Alice, Asya and Daisy). They're cheerful, kind and intelligent friends that were left so many wonderful moments in my mind . ﻿﻿﻿﻿﻿﻿In early August 2011 our last old lady Daisy died. It was very hard, it seemed to us the house was empty. After that we have decided never to get a dog﻿﻿﻿﻿﻿﻿. 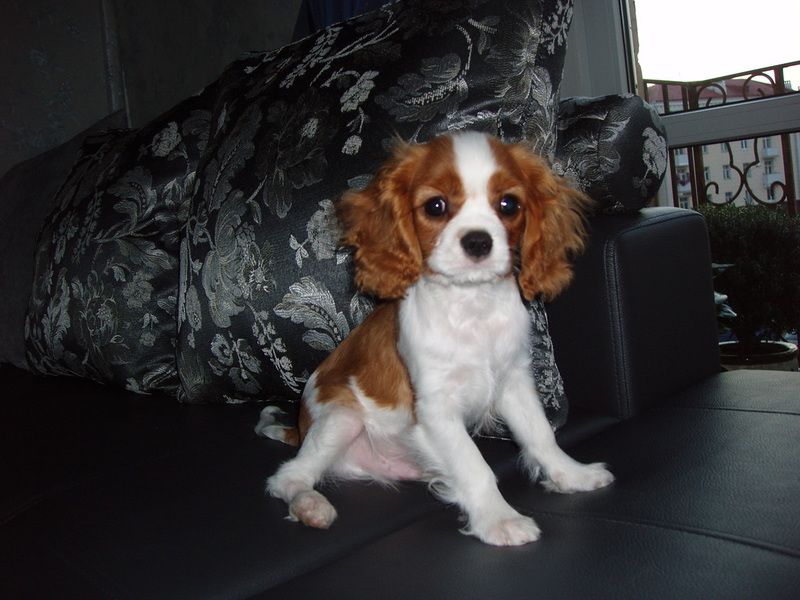 But a few weeks later we have casually acquainted with a breeder of the famous kennel of Cavalier King Charles Spaniel "Sholom Aleichem" in Belarus, and Julia sent us a photo of a small puppy from a very beautiful couple (Eurostar and Britney). It was our Angel (SCHEGOL SHOLOM ALEIHEM). We were lucky to get acquainted with Andra in the summer of 2013. Seven wonderful puppies were born from titled parents in her kennel at the end of July, and one of them was our boy - sweet Rasmus (CATTLEYA DOWIANA ERASMUS). That's just a little more than two years after the Angel's arrival, we got a "little foreigner".